There are horror stories. I have read lots of them. I know of people who vowed not to book flights from them ever. However, I am poor and kuripot (thrifty). I can only afford tickets from budget airlines like Cebu Pacific and, based on experience, I never had any untoward incident from them. Also, I knew what I was getting into when I booked the flight. 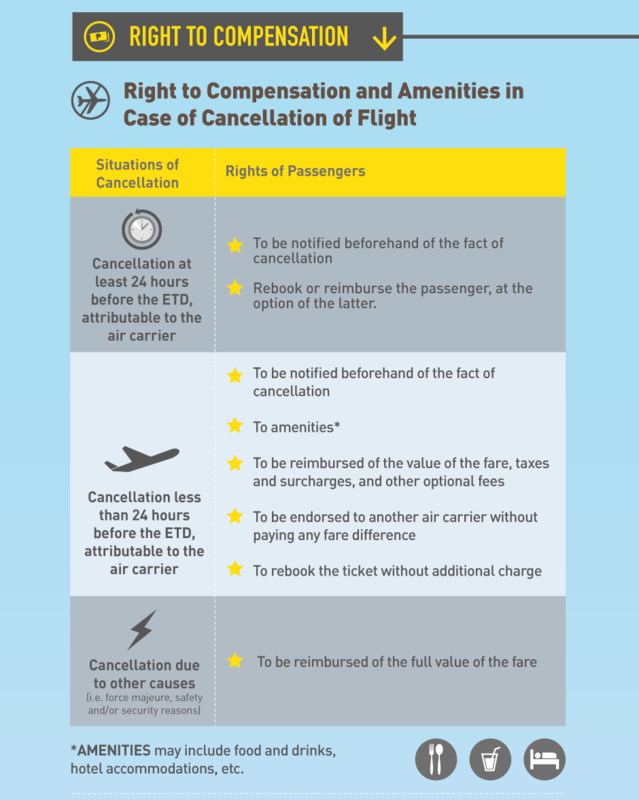 I have read the fare rules: “Promo fares are non-reroutable, non-transferable, non-refundable and may not be stored in a Travel Fund.” However, I also know that if they initiate flight cancellation, I can opt for a refund. I have read stories how their refund took months to process. I wished it would never happen to me. I told myself that this is the reason I always book months before so that everything is planned smoothly. My schedule is fixed. I do not need to refund. They say nothing is certain in life except death and taxes. This holds true for my Manila-Bangkok-Manila trip this March. Since January, I have been praying that protests will stop so we can visit Bangkok without worries. I have not planned the trip yet because I was following the news. I have also been following Richard Barrow on twitter. Richard Barrow is a blogger based in Bangkok and he has been updating the world on the protests happening on the ground. A lot of travellers were able to enjoy their trip to Bangkok even with protests because he gives tips on where to go, what places are safe and what to avoid. It gave a little boost to my confidence knowing I could rely on this kind stranger for help. I believe God has other plans for me this March. 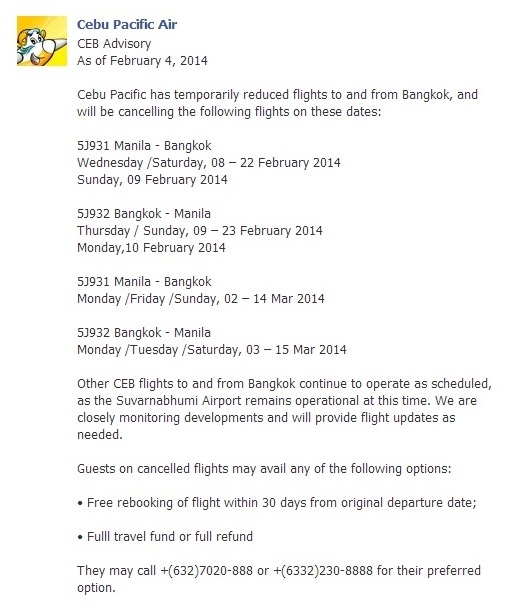 Last week, I saw this announcement on Cebu Pacific’s Facebook page. My return flight was cancelled. I asked my aunt who is my travel companion which option we are going to take. She was not keen on travelling to Bangkok because of the protests. If it were up to me, I would have rebooked it to an earlier return date. However, my aunt is hypertensive and the trip might frightened her if the protests would not end. Earlier that week, I got these updates from Richard Barrow. I took these as signs to postpone the trip until everything is back to normal. If protest guards feel they need to wear bullet proof vests & are worried about their safety, then tourists should take note & avoid Asoke. I decided to cancel the trip. I have called the hotline before and it is a hit-and-miss thing. They have Manila and Cebu hotlines and I live in Butuan so calls I make are charged long distance rates by my phone provider. I always use my landline because rates are cheaper. I always prepare before I call. I sit in a comfortable chair. The electric fan is set at the right speed. The flight details are in front of me. I have a ballpen and paper. I called the Manila hotline and I was put on hold. It helps to have something to do- read a magazine, play a game on your tablet, clean your nails, pluck eyebrows. This is because the recorded voice will be on repeat: “Your call is important to us. We will attend to call your shortly.” I understand how one could go crazy waiting on the line. When put on hold, I always give them 5 minutes. If no one answers, I hang up. On my third try, I called the Cebu number and I was able to talk to a person without being put on hold. I was happy that I was able to refund the entire trip even if only the return flight was cancelled. It is logical to do so but I am glad just the same. I was told to call again in 24-48 hours to confirm if my refund is ready. At this point, I wanted to protest. This meant that I had to call long distance again. However, I was too happy to get a refund that I let it stride. After 48 years hours, I called again. I was told that the accounting department in Manila has not yet completed the preparation of the refund. I was asked to call again at 5pm that same day to follow up. It was a Friday. I decided I would follow up on the refund on Tuesday the following week to give enough time for whatever preparations they need. I also decided that I would follow-up the refund directly at the Butuan Airport since fare going to the airport would only cost P30 while calling long distance may cost a lot more. Armed with the required documents- ticket, passports, IDs and authorization letter from my aunt, I went to the Butuan Airport this morning. I know that there is a 9AM Cebu Pacific flight and the next one is in the afternoon so I went at 10AM to avoid the crowd. I arrived a little past 10 AM. I was greeted by Jenny. She has a pretty smile and was accommodating. She was scheduled to have lunch so she endorsed my refund request to Al. She told me that she will get the documents and have them scanned. They would email Cebu for approval and once there is a reply in the email, I would get my refund. She told me to wait. She was nice. While I was waiting, she came back to tell me that Al was processing my request. Then I waited for 30 minutes. Another staff told me to wait a little more because Cebu had questions on my refund. Passengers started to arrive for their flights. After 15 mins, Jenny approached to tell me that they were still resolving the questions on my refund. They did not have a timeline when it will be resolved. She got my contact numbers (so I can do other things rather than wait at the airport like poor puppy). She promised to call me within day. True to her word, she called at 1PM. I arranged to go back at 3:30PM after the last flight has flown. True enough, I arrived at the airport as the plane took off. I arrived at an empty airport. It took a while to reach the airport because I took the jeep and I ran some errands, too. When I arrived, Jenny was already waiting for me. I filled up some forms and I got my refund. I found out when I checked my phone that I got a missed call from her and my uncle told me when I arrived home that Cebu Pacific called while I was away. I can confidently say that: Cebu Pacific refunds in cash! This was thought to be impossible before. On hindsight, there are circumstances that worked on my favor that prevented me from going crazy over their service. My friend who also had to refund her trip had an unfortunate experience. She was put on hold for more an hour and she got disconnected several times. 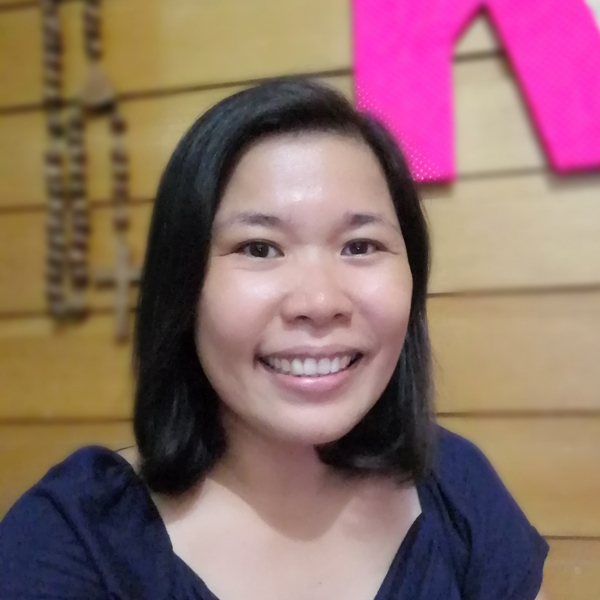 She tweeted @cebupacificair and she was told to go to the Cebu Pacific office at the airport only to arrive at the Cebu Pacific office and read a memo that they no longer accept processing of online transactions and that clients should call the hotline. I had low expectations. Filipinos may be the most hospitable people in the world but customer service is still something to be desired. Most companies’ bottom lines are still revenues. I live in the province. Going back and forth to the airport twice was not much of a hassle. If that happens in Metro Manila and other big cities, I understand how that will increase the stress-level of any client. I was too happy to get the refund. The thought of being stranded in Bangkok was a burden off my back. I do not want to be stranded in Bangkok because I want to attend my friend’s wedding the day after I was supposed to arrive in Manila. I had a flexible schedule. I can understand how this can be a great inconvenience to those who have regular jobs. I do not own a credit card. I got an update from my friend. She said her refund will be credited back to her credit card in 30 to 60 days. Whew. That long? Good thing I have no credit card to speak of. I paid in cash so they had no choice but to give the refund in cash. I think Jenny of Cebu Pacific Air in Butuan Airport was very accommodating. She knew what to do. She was the one who instructed her colleague on what steps to take when she endorsed my case because it was her lunch break. 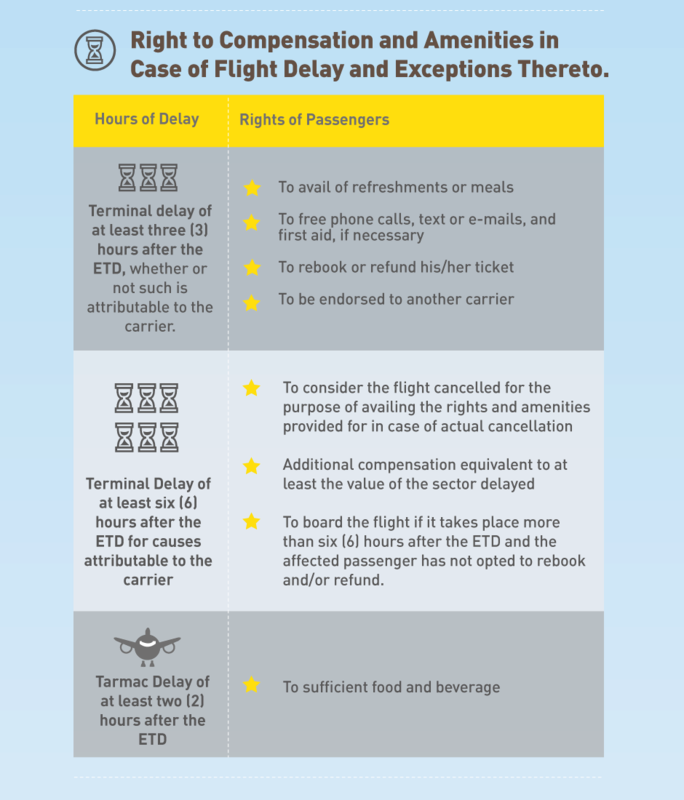 However, Cebu Pacific could still improve their system. A toll-free number for their hotline. It can be expensive to call long distance. The Gokongweis used to own Digitel and Sun Cellular. They could have easily set up that toll-free hotline years ago. If we can book online to buy tickets, I guess they can create an online system for the refund. Since cancellation of the flights that is due for refund is initiated by them, they can be pro-active. They can identify these passengers. 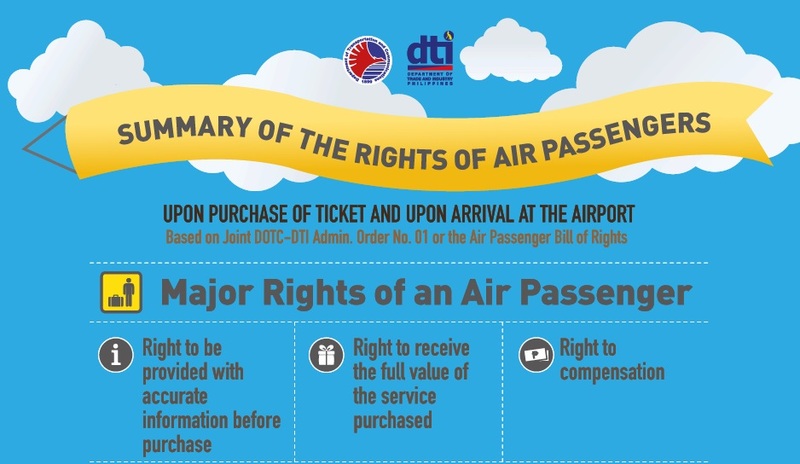 They can immediately prepare the necessary refund for the passenger so that all the passenger need to do is show proof and refund will be immediately issued. I wish they sent me email on the matter. I only found out about the cancellation because I was actively updating myself with the news. To end these very long post, I need to write a disclaimer. This is just my experience. I am but one of their millions of passengers. I cannot guarantee that you will experience the same thing I did. I do hope you learn something from my experience and can strategize how you will have a better experience in the future. 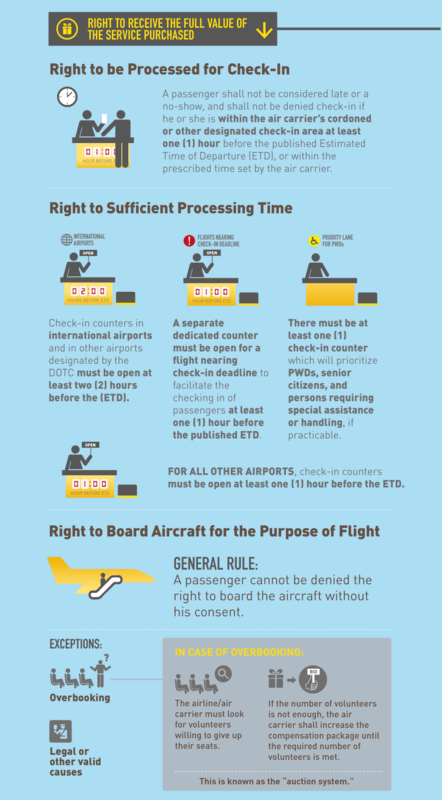 As passengers, we should know our rights. Check out the infographics from the Office of the President. Good to hear you were able to refund your tickets. I hope also Cebupac will improve their system and services. That’s really a good news sis. Naku our lab aide here hindi pa narefind yun na-auto debit na ticket price sa atm nya. 7 months na ata. One of our analysts here helped him book a flight online, bigla nagloko yun site nila and without confirmation na-autodebit ang ticket price. Kawawa naman kasi that amount means a lot to him na. Oh, I hope he gets his refund. I have booked a flight for my cousin where the bank transaction did not push through. I had to call the hotline and, in a week’s time, I got my itinerary. I recommend over-the-counter bank payment. At least yun, may proof (deposit slip) na nagbayad ka. I was totally shock at first about the 36 years waiting..hahaha. I’m glad that you have a smooth transaction process on Cebu Pacific, So far I don’t have any problem with the airline and no cancel flights. I still prefer the PAL for my travels since they do NON STOP from Manila- San Francisco and easy for me to connect Manila- CEBU. But my family used Cebu pacific from CDO- Cebu and the experience is awesome! LOL. You really read everything! Thanks, Melgie! I’ve heard a lot of horror stories, too about Cebu Pacific. Buti na lang you had a smooth transaction with them. you really pluck your eyebrows while on wait? 🙂 i would also patiently wait for a refund no matter what; and i would love to spend my hard-earned money wisely. Very comprehensive matter that’s been posted here, but this is the right way to deal with this incident. I really admire your courage to refund the money. You patience paid off..Truly patience is a virtue and I hope you have found your one true love na.. hehehe..
Good to hear that you were able to refund your tickets. 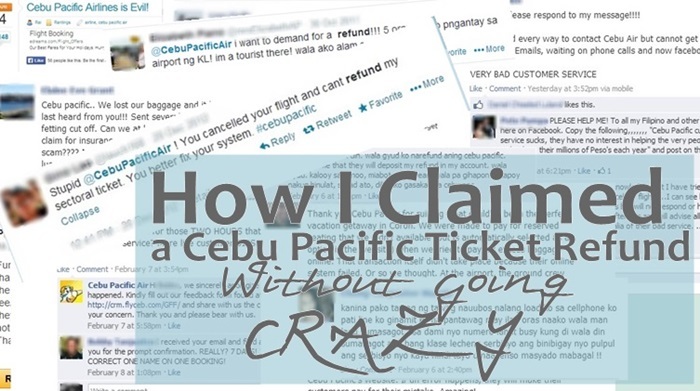 I also heard lots of complaints about Cebu Pacific in refunding their ticket. They really need to wait for months before they got the refund. THat is a great news that you have been refunded without the pain in the behind hehehe. Your patience for waiting your prince charming will be worth it. I think this is a virtue that is hard to develop. You’ve made the right decision to cancel the trip. I’ve been traveling for many years and I always check the political situation of each country we visit to be certain. As a general fact, most companies will try to avoid releasing funds but as a consumer, it is your right to get what you’ve paid for when the service is not consumed/used. Maybe try to visit Vietnam. It’s also affordable there rather than Bangkok for now. I don’t know what to do if I have a cancelled flight. Good thing they refunded yours. I booked for CebuPac before and got no problems then. I just don’t want to experience this kind of thing. Sabi nga ng ate ko, ‘What would you expect sa cheap flights?’ But I’m still keeping my hopes up that sana CebuPac would give better service more. They can do better than that. Gosh! The way things are run here in the country is very disheartening. Parang you want to leave it nalang kesa ma-hassle. But you are very patient in calling and visiting the office. I’m glad you were helped out by a competent person. God is good. And your ability to follow the updates, especially on the schedule of flights is admirable. Amazing tips! Although I would like to say that it’s really a case-to-case basis. Some people are armed with the same mindset as you had but were unlucky. Sometimes it’s the person, sometimes the circumstance. Anyway, I hope you still pursue your trip in the near future! Good to hear that you got your refund and that it was resolved in the end. It’s nice to know that you can still get refunded without going through all the hassles. I don’t get to travel a lot by plane and those occasions that I was able to, I never had to cancel a booking or claim a refund. But you’re right, there are a lot of horror stories about these things and I also wish never to experience the same. So, good for you that you were able to get your refund fast. 🙂 And yeah, if that happened here in Manila, maybe it wouldn’t have been handled that fast. Thanks for the tips. I’ll keep them in mind in case I find myself in the same situation one day. It is important talaga na alam mo yung rights mo. Glad got your money back. Great that you were able to get your refund with minimal hassle. You’re right, if you were in Manila then it would be a different story. I think it was smart of you to just go and talk to someone face to face. I’ve come to realize that people on the phone normally have no authority, and will forward your concern to someone else to process. At least going to their office paid off, as someone was able to do something about your concern right then and there. Good to hear that you had a positive experience. Well, sometimes, it is surprising what kind of service we will receive from various businesses. It is so important that we have lots of patience. I’m happy to read this story, and I hope Cebu Pacific is really improving their services (of course, I take into consideration also your expectations and all, hehe). Oh very interesting dear, thanks for share! 36 years… seriously?! Well, if everything is in line with their policies then there shouldn’t be any reason why they wouldn’t refund. Lucky you! It could have become a nightmare. I read your story and laughed at the funny parts. You are patient and funny; two important skills to have in situations like this. can you give me cebu pacific email address i have my query. We don’t have telephone in our area. Thanks for ur blog on cepac refunds of ur cancelled flight. I just want to know if u got full refund of what u paid without any deductions like cancellation fee of p1,200? I do not know how to get your refund when you are from abroad. Check your travel fund perhaps? What makes mine easier was that I was able to talk to staff on the ground.